These bacon, egg and veggie breakfast muffins are the easiest thing to make. And, they are great for quick, keto-friendly breakfasts during the week (we make them ahead of time and store them in the fridge for easy breakfast grabs). 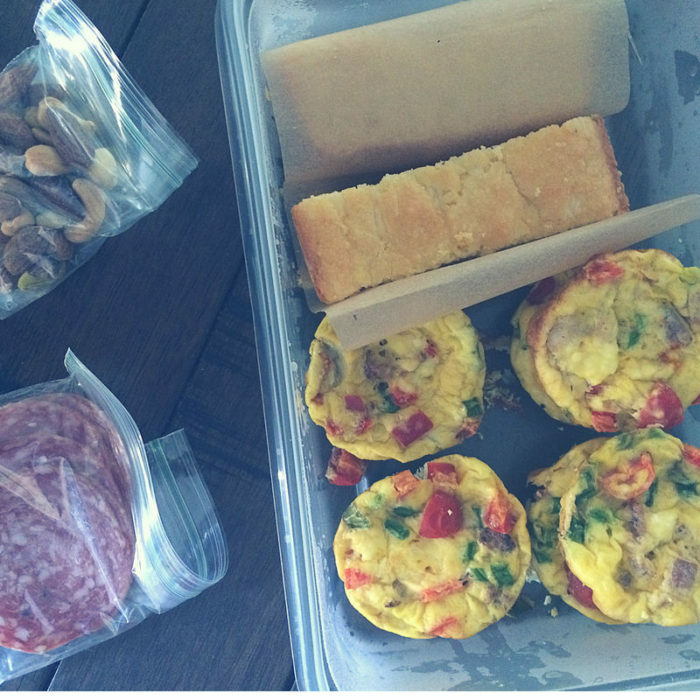 A good breakfast muffin is a necessity if you’re a meal prepper. My whole entire family loves these (including my four year old) so having them in the fridge ready to grab, heat and eat is the bestest. Check out the recipe below or pin it for later! LOW CARB AND KETO FRIENDLY! There are so many great grab-and-go recipes out there, but this particular breakfast muffin is easy, healthy, low-carb and keto friendly! We started our keto journey a couple of months ago (follow that here) and made these for travel. Easy to pop in the cooler and eat in the hotel. And, it kept us from grabbing something at a restaurant that might not fit our dietary needs. The recipe and macros are below. Let me know whatcha’ think! 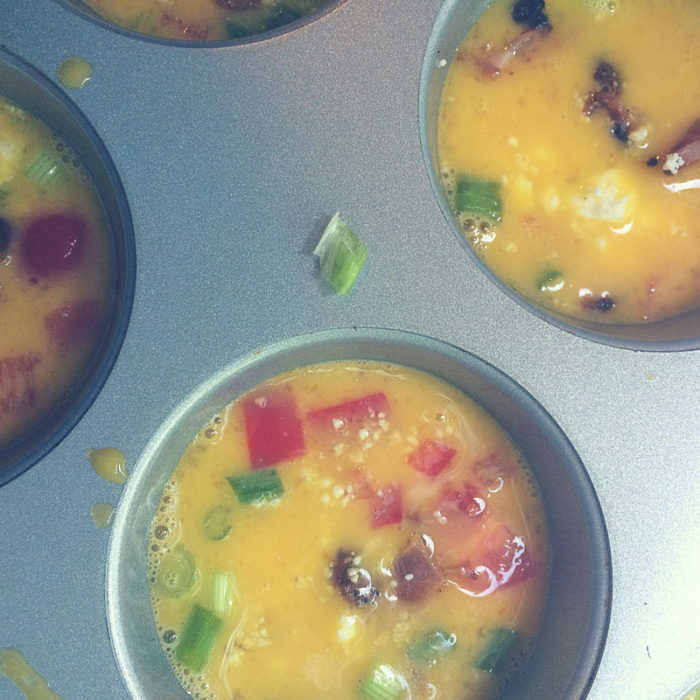 These bacon, egg and veggie breakfast muffins are the easiest thing to make. 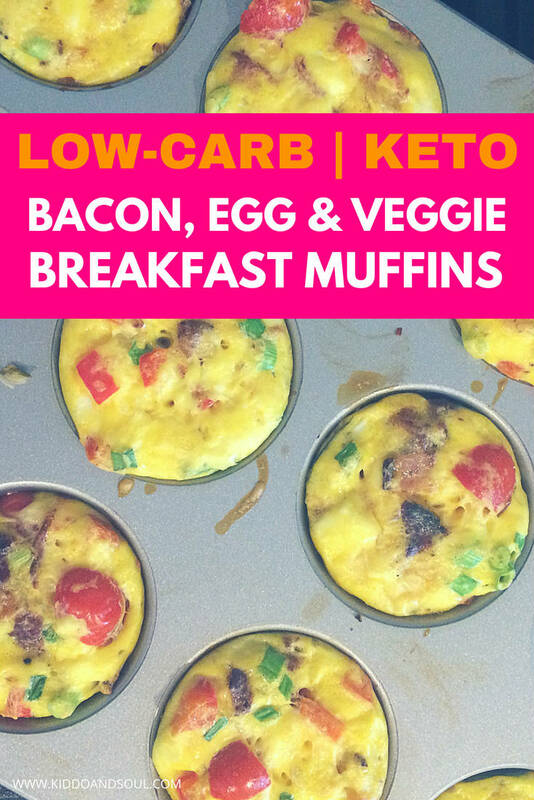 And, they are great for quick, keto-friendly breakfasts during the week (we make them ahead of time and store them in the fridge for easy breakfast grabs). 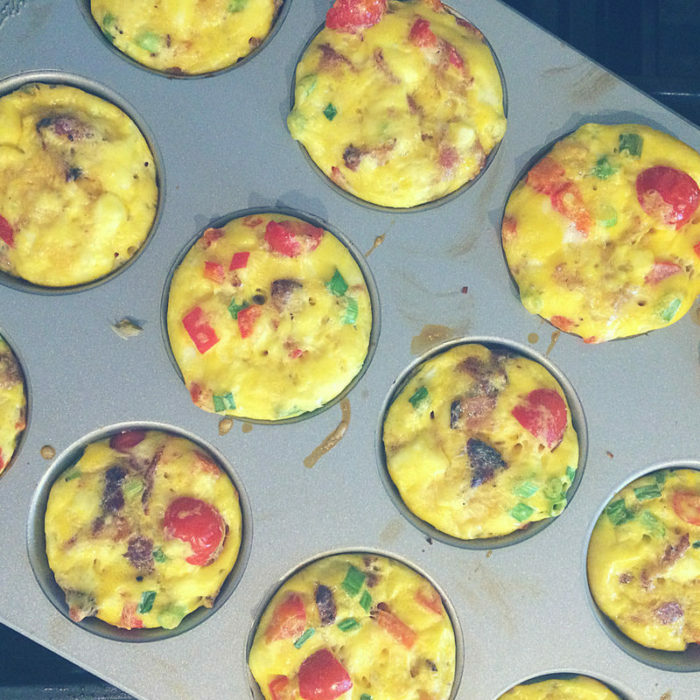 If you like to meal prep, these breakfast muffins are for the win. Preheat oven to 350 and spray muffin tin. Chop bacon, green onion, and Red Bell Peppers. Cut cherry tomatoes in half. Whisk eggs in a medium bowl and ladle eggs into the muffin tin no more than 1/2 way full. Divide the bacon, green onion, peppers and feta and distribute equally between the 12 compartments. Then, add 1 cherry tomato half to each. Bake for 20-25 minutes until the edges look light brown and crispy. Let cool and eat up! If meal prepping: place eggs in an airtight container and store in the fridge. You can remove them individually and heat up for 10-15 seconds in the microwave. Nutritional Info Disclaimer: I am not a medical or nutritional professional. I provide nutritional information for my recipes as a courtesy based upon the ingredients I'm using. I encourage you to find a nutritional calculator you like best and calculate individual nutrition info based upon the ingredients you are using. All carb counts are based upon total carbs unless otherwise noted. 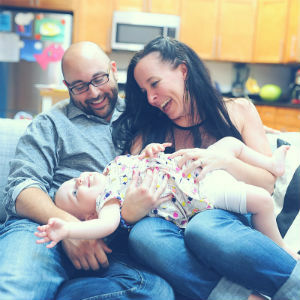 DON’T FORGET TO CHECK OUT THE REST OF MY RECIPES BEFORE YA GO!